Developer : Easy Tiger Apps, LLC. Make your Instagram stories shine with our pretty moving fonts! When your followers ask you the secret of this animated font magic - don’t be greedy, share love, hugs and FontCandy with the world! Font Candy puts you in the creator's chair and allows you to produce custom designs in seconds. Add quotes, artwork, filters, colors, and even layer multiple images! 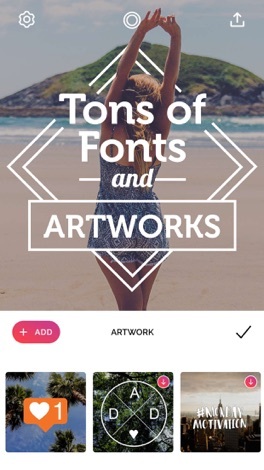 You choose from a curated collection of fonts or add your own to overlay beautiful text on your photos. Get creative and add intricate designs using shapes, symbols, or emojis. 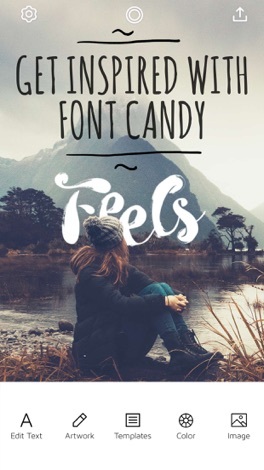 Whether you are looking to create some amazing artwork, celebrate a special occasion, make the next #trending meme, or design a custom iPhone case Font Candy is for you! » Over 45 artistic, hand-picked fonts. 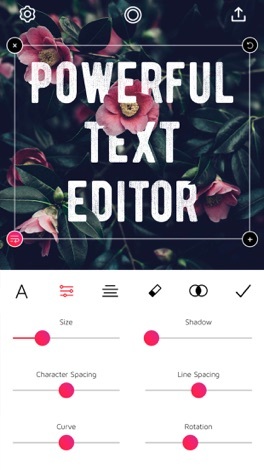 » Powerful text editing capabilities including text curving, opacity controls, and shadow. » Add multiple captions and manipulate each one separately to make your edits truly unique. » Built-in custom Artwork and Quotes we’ve designed for you. » Colors and filters you can apply over the background image or the text. » The ability to design and order custom iPhone cases, Posters, T-shirts, Magnets and more! 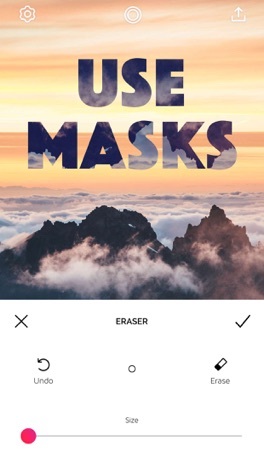 » Save your designs and watermarks to the app to edit photos in seconds. » Fun animations you can add to your text. » Scale and Crop options with preloaded sizing for FB cover photos, Twitter posts, etc. » Don’t have a photo you love? Try out the Integrated photo search function provided by Pixabay. » Share your work with friends on Facebook, Twitter, Tumblr, Instagram, etc. Subscribe to take advantage of the features described above. • Your payment will be charged to your iTunes Account as soon as you confirm your purchase. • You can manage your subscriptions and turn off auto-renewal from your Account Settings after the purchase. • Your subscription will renew automatically, unless you turn off auto-renew at least 24 hours before the end of the current period. • The cost of renewal will be charged to your account in the 24 hours prior to the end of the current period. • When canceling a subscription, your subscription will stay active until the end of the period. Auto-renewal will be disabled, but the current subscription will not be refunded. • Any unused portion of a free trial period, if offered, will be forfeited when purchasing a subscription. Disclaimer: You will be required to sign up for an auto-renewable In-App Purchase before you are able to access the app. More by Easy Tiger Apps, LLC.